PHILADELPHIA, PA - Fred Holdsworth has always been a lawn guy. He also doesn't beat around the bush -- he says what he means and suggests his customers find someone else if they desire the fast effects of chemical weed killers and fertilizers. 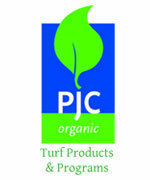 "Many clients just don't have the patience for organics. I'm honest with people and don't try to fabricate anything or tell them something will work when I know it probably won't," he said. 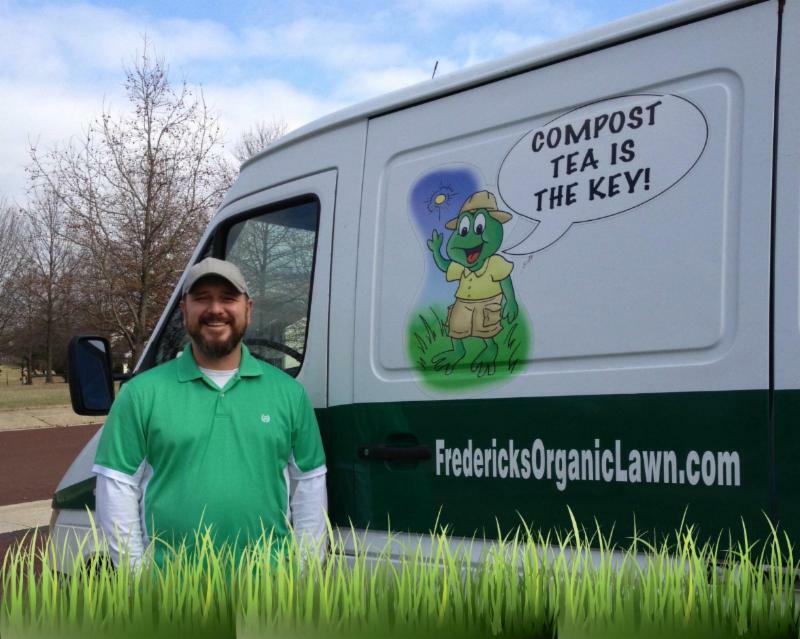 "Most clients I work with have mostly green lawns but they haven't ever done anything. 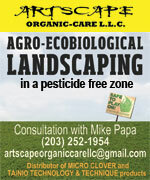 Very rarely do I have chemical lawns transitioning to organic. Depending on their expectations and budget, I tell them it'll take a couple of years and here's what we can do." Practicality has served Holdsworth well over the years. As a youngster, he worked with his Italian immigrant grandfather in the wealthy Villanova area, landscaping people's yards and planting vegetable gardens. Credit Opportunity in CT this Wednesday! 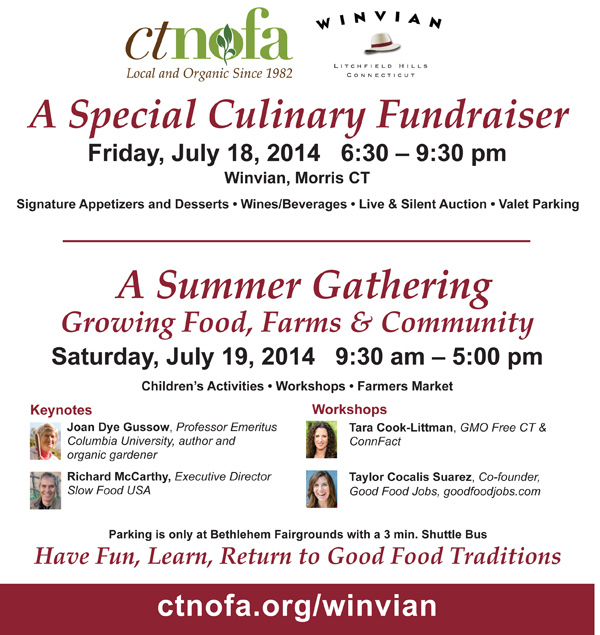 Join us at our annual fundraiser befitting CT NOFA and NOFA OLC! We need silent and live auction prizes with a minimum of $100 value. 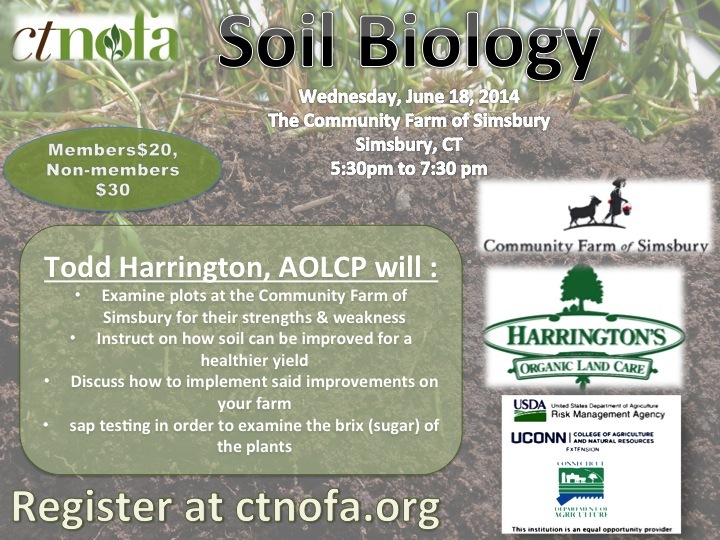 It's a great way to publicize your business and support CT NOFA & NOFA OLC. 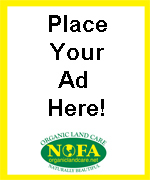 Click HERE for step-by-step video instructions on how to edit your online business profile on our Organic Landscaper search site. 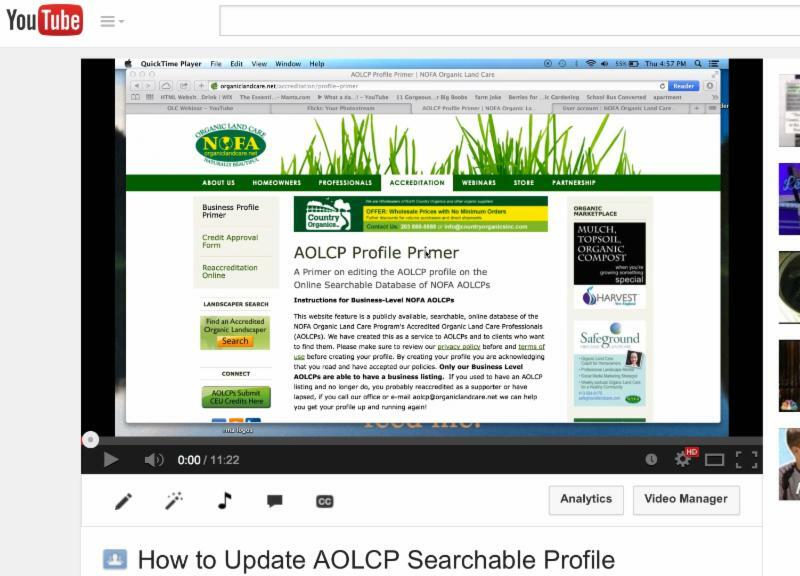 NOFA OLC is excited to announce new online educational tools that will be available to AOLCPs 24/7! 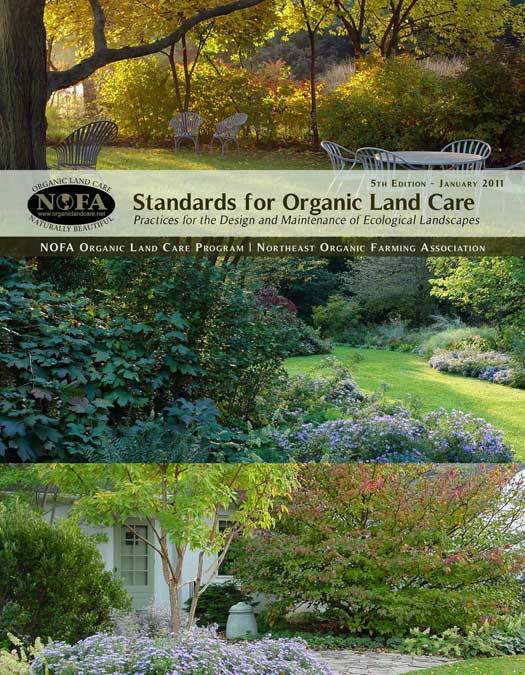 Webinars: Our first 2 free pre-recorded webinars on "Surf and Turf: Making Environmental Connections Between Landscaping and Long Island Sound" and "Social Marketing" as presented at the Organic Lawn Care Certificate Course. Podcasts: AOLCP Bernadette Giblin will be posting a weekly podcast featuring AOLCPs in the field that you can listen to whenever you're free. 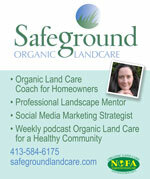 Each Wednesday Bernadette will post a new podcast to her blog, Finding Safeground. Coming Soon: AOCPs and future accredited professionals will soon be able to take the full Organic Lawn Care Course online! Professionals will be able to take the full or selected presentations from the course at their own pace and around their own schedule. This month, we'll focus on poison ivy. 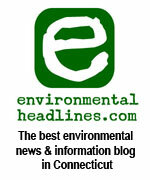 suggested for removing it from an area where humans or domestic animals will have contact with it. Before handling poison ivy, apply a protective lotion designed to block urushiol. Urushiol is the oil that causes skin irritation. For large jobs, don a Tyvek suit and tape the cuffs to your gloves. Dispose of contaminated suit in a plastic bag. 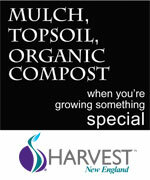 Gather plants in bags and dispose of entire collection in the trash. Take care to protect anyone who may come in contact with the trash. 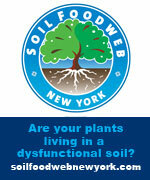 Be sure to dig out the entire root system to prevent resprouting. Repeated weeding may be needed. If poison ivy comes in contact with your skin, wash within ten minutes with water or a wet wipe, or wash within eight hours with a product that is formulated to remove urushiol. Such products can also be used to help minimize the spread of rashes. Click HERE (page 48) to read more. 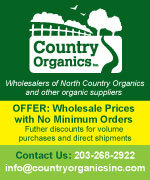 The mission of Connecticut Northeast Organic Farming Association's Organic Land Care Program (NOFA OLC) is to extend the vision and principles of organic agriculture to the care of the landscapes where people carry out their daily lives.